You may have heard that you can use herbs to induce labor. If you’re getting pretty anxious to go into labor, this might sound like a pretty good idea. There isn’t much research out there specifically about using herbs to induce labor, but many midwives have used them for ages for this purpose. There are a few herbs that act on the uterus and can cause contractions. So, using these herbs might get a little labor action going. Like all natural induction methods, herbs aren’t likely to be really effective unless you’re close to going into labor on your own anyway. Many women have found that trying to use herbs to induce labor causes contractions, but no labor. That said, here are some herbs that might help you go into labor if you decide to give it a shot. Black and blue cohosh are the most well known herbs to induce labor. They help stimulate the uterus to contract and dilate the cervix. These herbs are often used together to help stimulate labor. A common way to use these, is to take 20 drops of a black and blue cohosh tincture (called B and B tincture), every hour for 5 hrs. Take a break for an hour or two and start again, for another 5 hrs. Stay active during this time. If it doesn’t work, take a break for 3 or 4 days before you try again. Another common practice for these herbs is to put 5-10 drops of tincture in tea or water one or two times a day, starting at 37 weeks. Important note about blue cohosh- There have been some studies that have linked newborn heart failure with this herb. It is also known to increase blood pressure. I highly recommend getting advice from your midwife before using these herbs to induce labor. Evening primrose oil works well to ripen the cervix. It is sold in capsules and is easy to find just about anywhere. You can take the capsules by mouth daily for the last couple weeks of pregnancy to help your cervix ripen. Or, you can insert the capsule vaginally right up against your cervix. Evening primrose oil contains prostaglandins which help to soften and dilate the cervix. A plus about this oil is that it’s easy to use, easy to find, and doesn’t have negative side effects. So, if it doesn’t work, you’re not out much. Motherwort is a great herb to use at the end of pregnancy. It helps contractions to be more effective. It regulates Braxton Hicks contractions and alleviates false labor. It’s not used necessarily to induce labor, but might be a great option if you have been having a lot of irregular contractions or false labor. You can use it in a tincture or by drinking an herbal infusion. 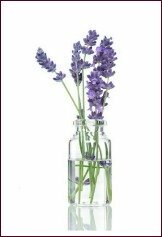 *Note on taking the herbs* Tinctures tend to be the most effective because they are more concentrated. There are different suggestions floating around out there about the “proper” dosages to try when using herbs to induce labor. I don’t claim to be an expert on herbs. It’s best to talk to a qualified herbalist for advice if you want to try herbs to induce labor. A tincture is a liquid extract of an herb. They are usually made by soaking the herbs in alcohol. This creates a more concentrated solution. You can buy herb tinctures from a health food store or other herb provider.